Support FilmEra on Ko-fi.com! - Ko-fi ❤️ Where creators get paid by fans, with a 'Buy Me a Coffee' button. 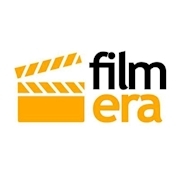 A new Era of film coverage: FilmEra offers cinephiles a platform from which to voice their perspectives on visual media (Film, TV), to challenge the reader’s expectations of what media conveys–regardless of whether that media was released today or decades in the past. The visual medium is a story-telling device capable of strong emotions, and our community of passionate writers would like you to share in that passion as they shine their own perspective on what makes this medium so important to us all. Secured Payments. Support goes to FilmEra's account.